Hugh Theodore Macready lived at Manfeld Scouller Street, Marrickville in 1910. He was living at Cambridge Street, Stanmore in 1915 at the time of his death at Georges River. He was married to Ethel Lavette Macready; they had three children. He died on 5 September 1915. Hugh Macready was a Director of the Newtown and Enmore Starr Bowkett Society. He was involved with the Newtown Football Club and the Newtown Workmen’s Institute. He was Past Master of the Kilwinning Orient Masonic Lodge, No. 14. Hugh Macready was an alderman on Newtown Council in 1910-13, representing Enmore Ward. He replaced Alderman Charles Ibbotson following his resignation in 1910. 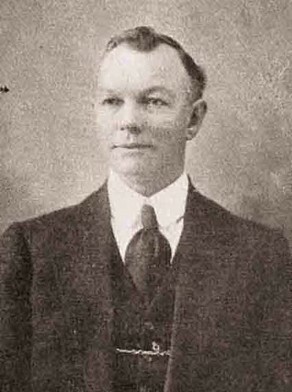 Macready was the youngest alderman on the council in 1912.